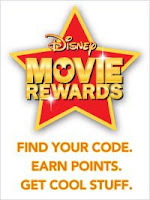 Disney Movie Rewards: 55 free points! You are here: Home / Uncategorized / Disney Movie Rewards: 55 free points! If you are a Disney Movie Rewards member, you can get 50 free points by logging into your account and watching a short video on Blu Rays and HDTV (the movie starts playing automatically after you log into your account). You can get 5 bonus points by entering the code FM39V03SSW into your account. If you’re buying The Princess and the Frog today, don’t forget to enter that code into your account, too! If you haven’t joined Disney Movie Rewards yet, it’s completely free and all you have to do is enter codes from the Disney movies thaty you buy (they are inside the boxes). The points that you earn can be redeemed for free merchandise! Deals on Disney’s Fantasia and Sorcerer’s Apprentice! 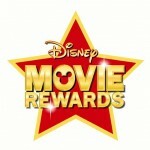 Disney Movie Rewards: 175 possible points plus $5 Starbucks gift card! Get one free Disney movie reward code daily from ABC Family! 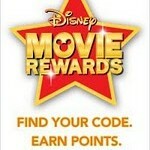 Get 10 bonus Disney Movie Rewards points!